If you move a Package, all the subordinate Packages and their contents are moved to the new location also. 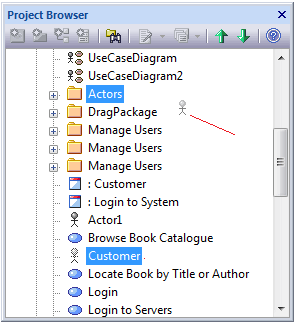 See 'Customer' in the example diagram. In the Project Browser, right-click on the element to be moved and select the 'Copy / Paste | Cut' option. Right-click on the Package or element under which to move the cut element, and select the 'Copy / Paste | Paste' option.